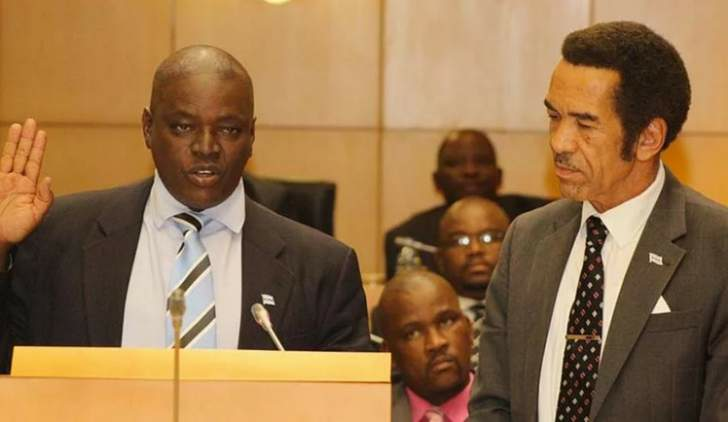 Former Botswana President Ian Khama slammed the ruling party after a candidate he backed withdrew from a leadership contest, saying it was rigged in favour of current president, Mokgweetsi Masisi. Former foreign minister, Pelonomi Venson-Moitoi withdrew her candidature a few hours before a vote by party members last Friday, denouncing the process as a "sham". It was the first time in the history of the Botswana Democratic Party (BDP), which has ruled the country since independence more than half a century ago, that the presidential incumbent faced a public challenge for the top job. Venson-Moitoi's withdrawal from the vote in Kang, 400 kilometers northwest of the capital, Gaborone, left Masisi to stand unopposed. After she made a failed bid in the High Court to delay the contest, she said she stood down because she was treated unfairly and her supporters were intimidated. "We have witnessed a situation in this ruling party that has never happened before," Khama, 66, told Bloomberg. "The measures and the extent they've gone to, the irregularities that we have seen creeping in, the cheating, the intolerance and the intimidation of opponents and the opponent's supporters is unprecedented." Khama, who left office a year ago, has disagreed with Masisi, who was his vice president, over plans to reverse some his signature policies, including shortened hours for outlets that sell alcohol and a hunting ban in the nation with the world's biggest population of elephants. He called the steps a "gimmick" to win votes in what's expected to be a tightly fought national election in October. "One of the first things the government did was to quash that and extend the hours the people can drink alcohol," he said. "It was an election gimmick. Let people drink themselves to death, as long as they are enjoying it, then if they vote for us because they think it's a good thing then so much the better." Khama, the son of Botswana's iconic first President Seretse Khama, said he didn't travel to the meeting in Kang because he didn't want to legitimise a "farce." Venson-Moitoi would have won a fair contest, he said. "I would like to put my head on the block and says she would have won," he said. "It's the party that's been taking steps to disadvantage her, and of course he is the head of that party so it wouldn't have been a fair contest, it wouldn't have been credible. It's the kind of thing that during my time in office I would criticize in other countries where I saw elections were rigged." The ruling Botswana Democratic Party's popularity has declined in recent years to a record low of 47 percent of votes in the last election in 2014. Masisi is widely expected to be elected president at nationwide polls in October, facing a fragmented opposition. In his acceptance speech, Masisi promised to "do my utmost best… to lead this party not only to victory in 2019, (but also) in 2024". "Thank you for your endorsement," he told delegates to the party meeting. Botswana has a two-term presidential limit. Masisi took over the country's leadership from Ian Khama last year, after being hand-picked, but will contest his first election this year. If he wins, his first official term will start then. Masisi commended Venson-Moitoi's "gallant and spirited campaign" and urged party members "to embrace the democratic practice of competition". He vowed to reach out to Venson-Moitoi "and ask her to join me in uniting this party". About a thousand delegates attended a two-day meeting in the small, rural Kalahari Desert town of Kang. There had been concerns that Venson-Moitoi's unprecedented challenge against a sitting president would upset the stability of the party and even lead to a split. Venson-Moitoi, who had Khama's backing, said: "I withdraw from running because I will not promote a sham. "That election has been rigged before (voting) started. Contesting will be legitimising a flawed process." Masisi and ex-president Khama have fallen out publicly, with Masisi reversing some policies introduced by his predecessor. Khama had picked his then-vice president Masisi to succeed him. But Masisi has moved to break with the past and establish his own authority since his inauguration a year ago. "Regrettably and very unfortunately… I have come to realise that maybe I had misjudged (him) and now we have a situation where there is a bit of a standoff between himself and myself."